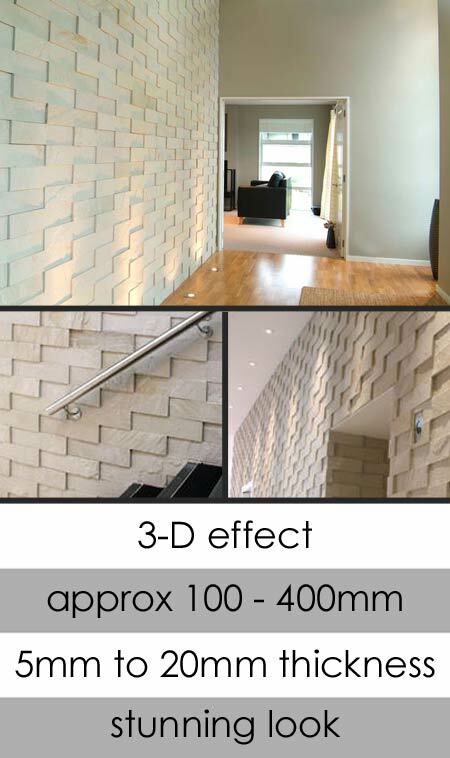 These stepped stone wall cladding tiles are made of cream natural sandstone producing a very stylish high quality interior wall. With added sympathetic lighting this stone wall gives contemporary light finishes with highlights and low light shadows all to a stunning effect. approx. 98mm x 390mm x 5mm/20mm thick. * Solid stone wall cladding. * Special order allow 6 - 8 weeks.